Something was beginning to feel curious about the manner in which the presidential campaign was panning out with all the main parties coming out behind President Michael D Higgins for a second term. The presidency is, after all, the third arm of the Oireachtas, the parliament of our Republic. It was looking like a real political stitch-up. I was wondering whether we were living in a democracy at all. Mary Lou changed that dynamic by announcing that Sinn Fein would field a candidate. At least then we knew there would be a presidential election. But that still leaves all of the prospective Independent candidates with the difficulty of getting a nomination. Given that Michael D is a shoo-in, who cares, you might ask, about whether Independents are nominated or not? Hardly those who are homeless, trying to buy a house or on a health waiting list. That is where we may be wrong. Unless we have debate with multiple voices and points of view in the public forum, issues do not get aired, prioritised. Issues that affect people's lives in a real way every day. A very high bar exists for an Independent candidate to earn a nomination. One has to win the support of either 20 Oireachtas members or a majority vote of four separate county or city councils. No mean feat. Ironically, the only one that doesn't have to meet this high bar is the sitting president, Michael D Higgins, since he can nominate himself! Meanwhile, in the wings it appears there are at least four potential Independent candidates seeking nominations, Senators Gerard Craughwell, Joan Freeman, Padraig O Ceidigh and Mr Kevin Sharkey. Alas, their presence in the presidential race is totally dependent on whether they will win a nomination. The emerging reality for Independents now is not can they win but can they run? They are to be applauded for putting their names forward. Their ideas, too, are vital in a democratic state. As Michael D has argued in his book When Ideas Matter; Speeches for an Ethical Republic, we should be seeking a future for Ireland that improves on the past. A presidential debate limited to a left-leaning president and a Sinn Fein candidate, the party of protest, is not representative of the diversity of voices or ideas in mainstream Ireland. Independent voices are vital to enrich the debate. Here's the crux. As matters currently stand the three main parties of Fine Gael, Fianna Fail and Labour have openly stated that they are throwing their weight behind Michael D Higgins to win a second term. Labour is no surprise since it was Michael D's original political home. Add Sinn Fein to that mix, in support of their own candidate, and it takes the majority of Oireachtas votes out of the equation. This leaves only the Independent TDs and Senators free to nominate a candidate. In reality, their unaligned votes are likely to break down among the Independent candidates, leaving maybe none of them with the possibility of getting an Oireachtas nomination for the Presidency. 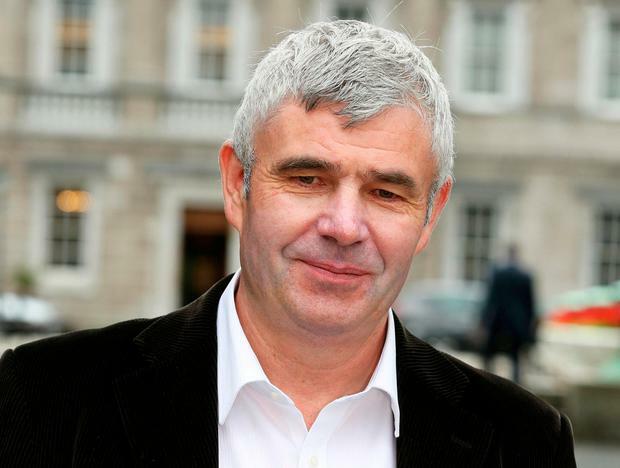 Last week, however, there was some hope thrown in the direction of Independents when Fianna Fail (FF) decided to allow their individual members to vote for a candidate of their choice. It remains to be seen how many FF Oireachtas members will actually vote for an Independent, given the wish of the party leadership to support Michael D. Micheal Martin is likely to have learned, though, that it's better not to ignite an internal revolt about the presidential election when there are bigger issues like a general election coming down the tracks. On the other hand, it shouldn't go unnoticed that Fine Gael, the main government party and the party of our Taoiseach Leo Varadkar, is whipping their councillors and not allowing them to vote for Independent candidates for a presidential nomination. With this diktat, the party leadership is throwing a blind eye to democracy and rendering their councillors, those closest to the people, voiceless, irrelevant. This is regrettable when the reality for most Independents is that they are likely to be reliant on achieving a nomination by winning the goodwill of four councils. And each candidate has to win four different councils! An arduous task. The consequences of this controlling behaviour by Fine Gael shouldn't be ignored. Day in, day out, we hear lip service about the need to encourage more candidates to stand for office but when we see the non-facilitation of candidates we really know how empty that rhetoric is. We hear about the need for gender balance and more women candidates - does that mean the Whip will be lifted to allow Senator Joan Freeman through? Unlikely, I'd say. Where now are all the organisations that normally complain about these things - the National Women's Council, Women for Election, why are they silent, one wonders? There are likely other factors at play too. At last week's Fine Gael parliamentary party, Fine Gael agreed to ''actively'' support Michael D Higgins but even more surprisingly it was reported that they are also considering whether they will use party resources in his support. Why then, one wonders, did FG not put forward their own candidate? The original reason given for not fielding a candidate was that they wanted to save their resources for the imminent general election. If they now decide to use party resources in support of the current incumbent, it puts a lie to that. Not allowing Fine Gael councillors to facilitate other candidates to get a nomination for the presidential race may also be an indication that Leo Varadkar is courting Mary Lou. Make no mistake, this is with an eye on government formation after the next general election. The study of political behaviour is always interesting. The age-old authoritarian ''command and control'' approach that has long been ditched by leadership in industry and other fields tends to linger much longer in politics. True leadership comes from the authority given to you by those you represent. More might have been expected of Leo in upholding the Fine Gael value of ''equality of opportunity''. There is of course one person who could call this out and be the single most important catalyst for a more open election. It is the President himself, Michael D. What a mockery it would be to Michael D's political legacy if the only way he should achieve a second term is through a limited field. Not alone an affront to democracy but an affront to the man himself. The Irish people deserve the right to choice. Will we have to rely on the President to speak out to provide this choice? The current Fine Gael lockdown doesn't augur well for our ''Republic of Opportunity''. Fidelma Healy Eames, PhD, a former Senator, works in education and public affairs.